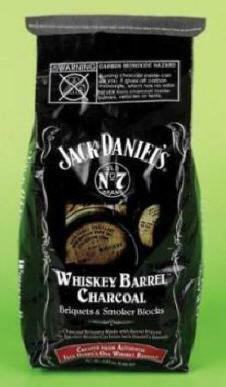 3Kg Jack Daniels Whiskey Barrel Charcoal. Created from authentic Jack Daniels oak whiskey barrels. This charcoal product is really two-in-one. It contains briquettes that are impregnated with tiny barrel chips, along with solid barrel wood chunks.